President Vladimir Putin says NSA leaker Edward Snowden may stay in Russia, if he wants to, but only if he stops activities aimed against the United States. Snowden “is not a Russian agent”, the president said, repeating that Russian intelligence services were not working with the fugitive American. He said Snowden should choose his final destination and go there. Putin added that he has no idea when that is going to happen. “If I knew, I would tell you now,” he told the media conference after the Forum of Gas Exporting Countries. Putin and his US counterpart Barrack Obama instructed their nations’ security services – Russia’s FSB and America’s FBI respectively – to resolve the situation around the Snowden case, Nikolay Patrushev, the secretary of the Russian Security Council said earlier on Monday. The former CIA employee Snowden, who is behind the biggest leak in the NSA, has been stuck in the transit zone of Moscow’s Sheremetyevo Airport for over a week now, after he arrived in the Russian capital from Hong Kong. The US annulled the whistleblower’s American passport and he presently has no other documents with which he can travel. 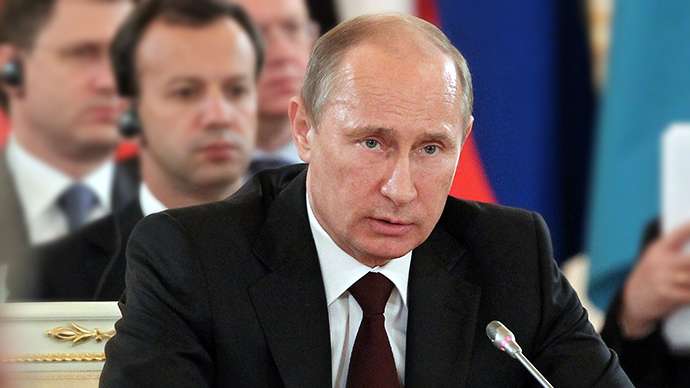 Putin does not rule out that the US was bugging Russian diplomatic missions. The President was commenting on a scandal stirred up by new documents leaked by Snowden which revealed that the US was spying on dozens of foreign missions and embassies abroad. “It’s none of our business that allies are eavesdropping on each other. Let them do what they want,” Putin stated. He observed that there was nothing in the leaked data on attempts to bug official Russian representations. “I don’t rule out that it’s possible,” Putin noted. “Let our colleagues [special services] decide which of them is right and which is wrong and what should be done to stop it,” Putin concluded.